Insignia Public Space was developed as an iconic focal point for the Insignia development which creates a community hub and gathering area to support the various lifestyle aspects of the residents and surrounding occupants. It provides a sanctuary with the feeling of space, freedom and co-existence with nature, through the integration of eco-friendly and sustainable features into its design. The architecture of the structures within the park creates interest and inspiration. 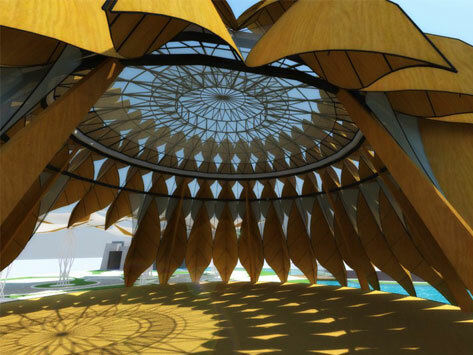 Sculpturally formed, they use beautiful geometry and lines which create an ethereal experience which completes the multi functional use of the main pavilion for events, ceremonies and gatherings. Each facility takes on a unique look but embodies the spirit and integrity of the area, from the architecture of the pavillon to the design of the recreational areas. The multi purpose space with the dinning area at the lakeshore and its two pavilions located on the lake, becomes the main central focal point from within and from the main road. 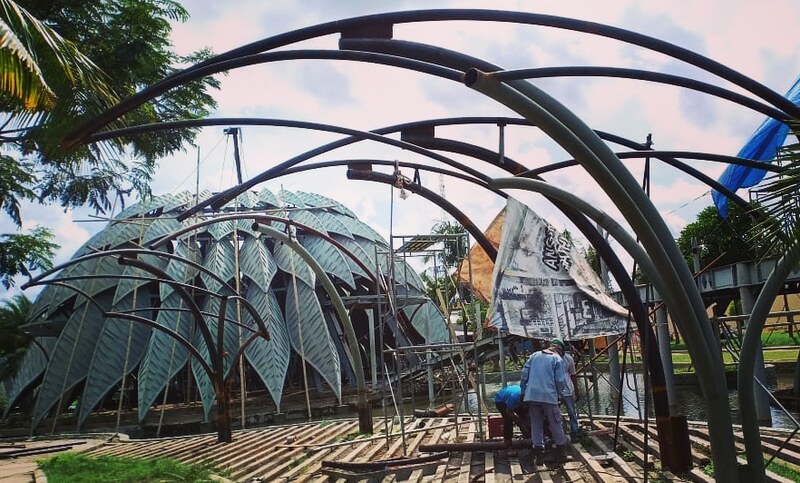 The pavilions as well as the umbrellas of the wedding courtyard are designed to collect rainwater for on-site use.